Jamie Hewlett fell off the wagon for a while, but after 20 years, he's jumped right back on. 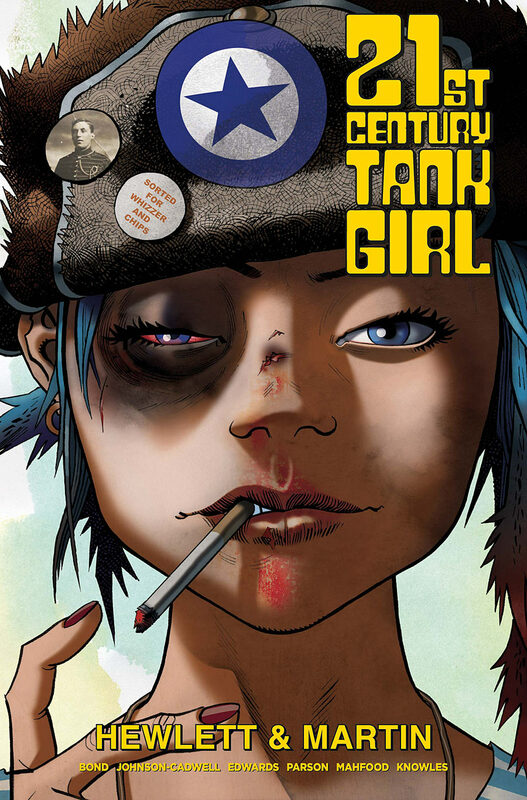 In fact, he's joining up with Alan Martin once again for some great Tank Girl action. 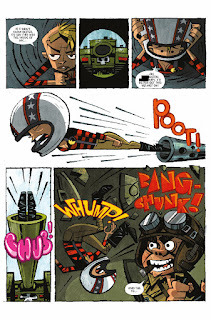 And they're bringing along a slew of additional talent, including Warwick Johnson-Cadwell, Philip Bond, Jim Mahfood, Jonathan Edwards, Craig Knowles and Brett Parson. Featuring riotous 100% original content, get your head down, put your hands over your private parts and prepare for a chaotic collection of strips, pin-ups, and random carnage! 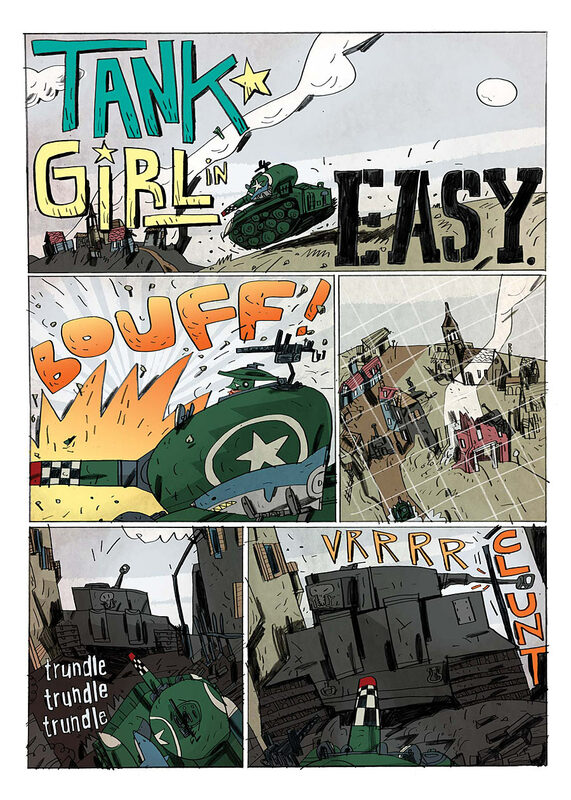 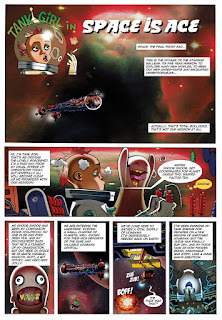 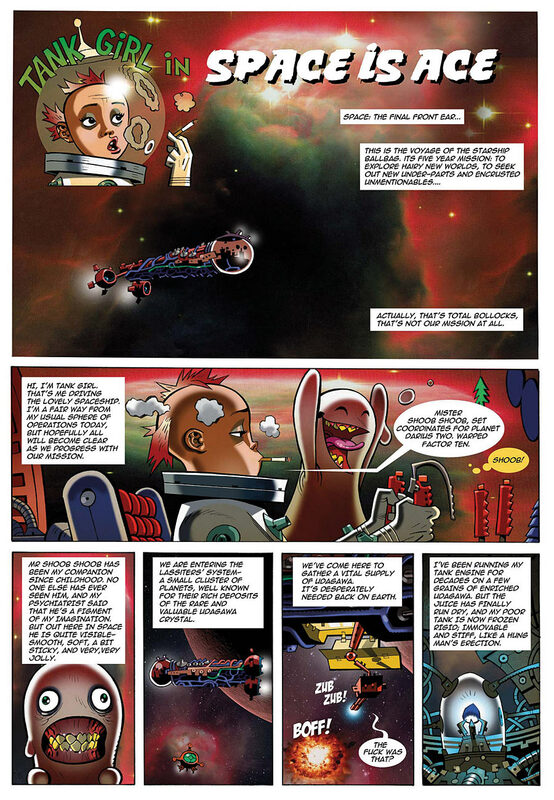 21st Century Tank Girl is slated to hit stores December 1 with interiors below.